Alice James Books, 9781882295814, 66pp. Gripping and terrifying, eloquent and heartwrenching, this debut collection delves into hellish territory: prison life. Soulful poems somberly capture time-bending experiences and the survivalist mentality needed to live a contradiction, confronting both daily torment and one's illogical fear of freedom. 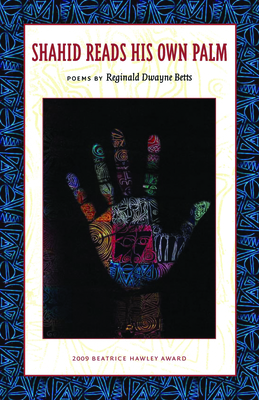 Reginald Dwayne Betts received the Holden Fellowship from the Warren Wilson MFA Program for Writers. A Cave Canem fellow, Breadloaf Writer's Conference scholarship recipient, and graduate of Prince George's Community College and the University of Maryland, his poetry has appeared in such journals as Ploughshares and Poet Lore. His memoir A Question of Freedom has just been published by Avery Books/Penguin.